The following audio is to the Questions and Answers segment at the end of the NARFE Legislative Webinar which addressed the 2017 and 2018 FY budgets and legislation concerning federal and postal employees. The first question about postal reform legislation is at the 7:44 mark and then there are several more questions and issues addressed throughout the remaining audio. https://www.21cpw.com/wp-content/uploads/2017/04/NARFE-QandA-April-4-2017-webinar.m4aA PowerPoint presentation and audio recording of the entire webinar will be posted later this week at the NARFE.org web site. This entry was posted in General Union Business, Postal Reform and Politics, Retiree Business and tagged APWU retirees, Federal Employee Health Benefits, FEHB, forced Medicare, H.R. 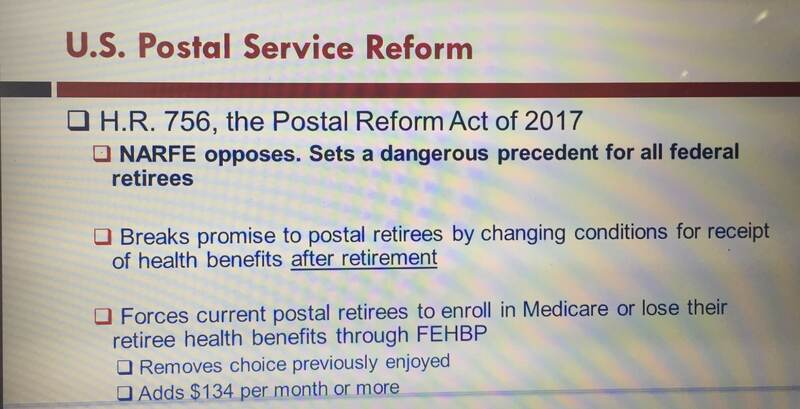 756, HR 756, NARFE legislative webinar, postal annuitants, postal reform legislation, Postal Service Reform Act of 2017. Bookmark the permalink. Why does it seem that Federal Employees and Military ALWAYS get the screws put to us and sacrificed as examples to RIP-OFF? 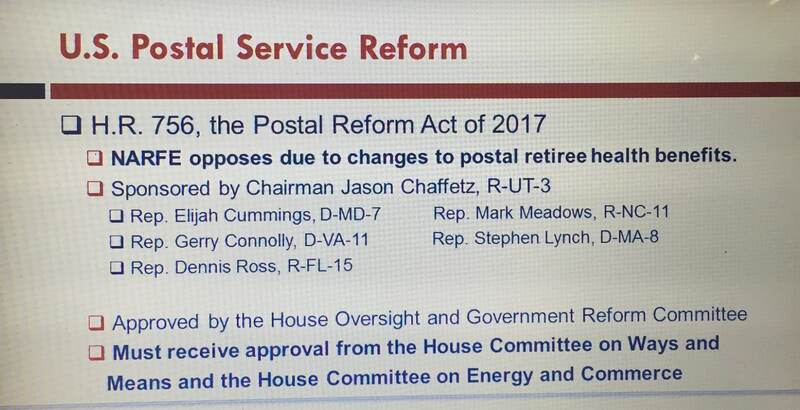 Somewhere, after years of service and dedication, its these employees that ALWAYS GET SCREWED BY OUR GOVERNMENT. WHY??? ?